Opinion Duck asked many great questions, made many wonderful observations, and offered outstanding positions in his comment to my hub on the attempts by the Democrats and Conservatives to bring the Deficit and Debt under control. Obviously, given the brevity of my responses that I seem to be incapable of obtaining, I thought it best to create a new hub or two or three to address all of this material. The next section is Opinion Duck's comment in full and the sections that follow are my comments on his comments. I hope this will be an interesting comment for both of us to enjoy. First, I have to say that these cuts are chump change and they are not even good gestures of balancing the budget. We really need to go back to 2008 which is one trillion and a half dollars of spending ago in the form of two stimulus packages. As you are an accountant type, I am interested in the outlay versus the payback plus the economic value of government putting money into the economy. Also it was the democrats that threw the hundreds of billions of dollars at the collapsing economy, not the Republicans. But as I always say, Congress is broken so it doesn't matter who is to blame, other than Congress. To go through a quick analysis of the last two years,it would include money thrown into the economy by Congress, and money that has been paid back out of the money. Also what was the loss in tax revenue for the companies that were saved by the government and those that went out of business. This also includes all of the taxes from SS and Medicare that were lost because of the high unemployment. In the meantime Congress gave themselves a raise, and this is something that we have seen them do before in an economic downturn. It used to be thought that every dollar that the government puts into the economy will generate five dollars back. I don't know that it is still valid or not. So my point is that we need to follow the 1.5 Trillion dollars that the government threw at the economy and audit it. It seems to me that no one seems to care how that money caused the deficit, but they should care about it. In addition the size of the government has increased in the last two years. Each government employee is a tax burden and contributes to the budget deficit. There should have been major cuts in the workforce and their benefits, especially their pensions and medical benefits. The price of oil is a core factor in the economy and it is directly proportional to the costs of living. The government has done only lip service for weaning the country off of oil. Even in this very weak economy the price of oil is very high. You can only imagine how high it will go if the economy improves. So in light of these factors that I have mentioned, where does cutting even 1000 Billion Dollars have any effect on ten on more trillion dollars of budget deficit. As for oil, the government has a conflict of interest in that both the state and the federal government get substantial revenue by aggregating the tax on each gallon of fuel. In conclusion, we need to focus on how the 1.5 Trilion dollars were spent and determine what we received by spending that kind of money. How much of it came back and how much stimualted the economy. Of course we know that the economy is in very bad shape so that answer should be a joke. The govenment itself is the major user of fuel in this country if not the world, so let us hear how the government has reduced their use of fuel and what their projection of use will be in the decade. This includes local, county, state and federal government and the military. OPINION DUCK'S first few comments concern the two major economic efforts to, in the first case, TARP, which pumped money into certain private institutions, mainly financial, in order to prevent the their collapse which, if they did collapse, would cause the collapse of the American economy and having us into the worse depression in our history. 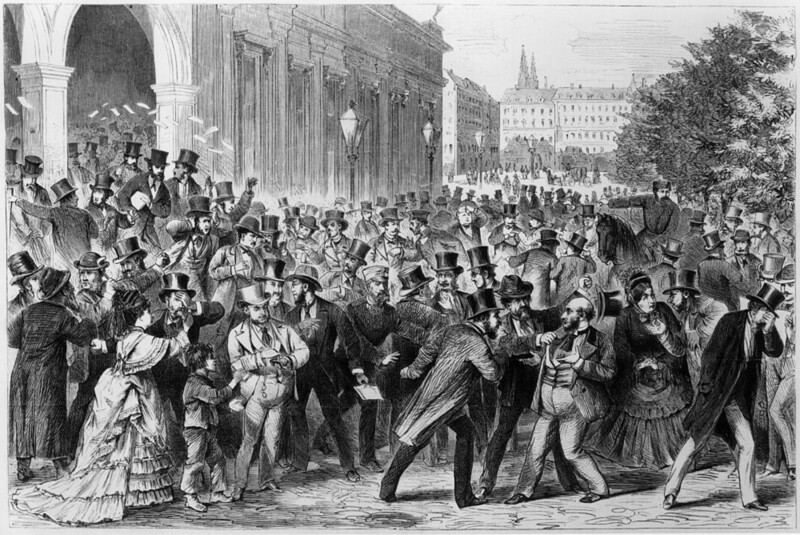 The second measure, The Stimulas, was intended to pump money into the economy in order to spur demand thereby increasing production putting money into the coffers of businesses, the pockets of Americans by getting them rehired, or preventing even worse damage to the economy by preventing their firing. The theory is the money given to businesses would be reivested in equipment or material, increasing demand, or labor which would either be continued to be spent, thereby stablizing demand, or newly spent, which would create new demand. TARP, otherwise known as the Troubled Asset Relief Program, was intended to bailout those financial institutions who invested, knowingly or unknowingly, in "toxic" mortgage securities that were in real jeopardy of going bankrupt. As I described in my Hub that generated this response to Opinion Duck, it was proposed by President Bush as the best choice between two major evils, violating his long held principals and travelling down the same road to ridicule as his father did when Pragmatism won out over Principal, or let America fall off a cliff into the worse Depression in our history. This isn't me saying this, this is from President Bush during an interview I listened to after his presidency was over, it is in his book. Opinion Duck is right, however, the Democratic Congress did pass it, but with Republican help for a change. The legislation for TARP authorized $700 billion to be spent supporting the ailing financial industry. This was later expanded by President Obama to include the auto industry for the same reason, so many Americans' jobs depended on the auto industry that for GM and Chrysler to go under, even for a little while would probably have changed what was now a Great Recession into a Great Depression. What amazes me is how many Americans either were too out of the loop, to be polite, to understand that, or simply didn't care. Now authorizing $700 billion and spending $700 billion are two entirely different ducks, pardon the pun. One is fake, the latter is real. Only $245 billion of the $700 billion was actual dolled out to banks or auto companies. (These amounts do not include what was spent supporting Freddie Mac and Fannie Mae, around $175 billion.) Of the $245 billion outlaid, only $25 billion has not been paid back!! Further, Treasury Secretary Timothy Geitner is arguing that the cost will be still lower. My personal bet is the the US Treasury, the tax payer, will MAKE MONEY, on the bail out, AS WELL WE SHOULD!!!!! How can we make money? Because we are being paid dividends from the stock we own in these companies plus the appreciation on the value of the stock when it is bought back. Why is the stock appreciating? Because the economy is growing! So, I ask again, did TARP do its job? How can any reasonable, thinking person say no? Of course TARP did its job, in spades! I only expect Social Dominators and their Right-wing Authoritarian followers to keep on denying the obvious. None of the bailed out companies went BK. The economy didn't fall into a depression. The financial markets didn't collapse. Even the SDs and RWAs who didn't want to do TARP didn't deny we would go into a depression, they just thought it "would be good for us", that in the end "market forces would weed out the bad companies" and we would be stronger after it was all over. I don't think any of these people ever lived through a real depression, do you? You suggest there is no "proof" that the economy would have tanked if there had been no TARP. Technically, you are quite correct. Please don't take my next comment as flippant because it is a serious response; you can't "prove" that the sun is going to come up tomorrow either. But in October 2008, there wasn't an economist in the world that was worth their salt that didn't predict that 1) if America's financial institutions had failed, America, and the world, would have succumbed to a crisis of epic proportions and 2) the financial markets world-wide had frozen and the American financial institutions were on the brink of collapse. In their view, and that is all we have, is that without massive intervention of some kind, the probability of our financial institutions not failing is as small as the scientists prediction that the sun won't come up tomorrow. Paulson and Bernake convinced President Bush of this and he acted accordingly. As to your other point about TARP being implemented improperly; you are preaching to the choir with me. TARP could not have been started more stupidly but, you have to consider who implemented it, the Conservatives (no offense intended CMerritt). It is not their philosophy to put very many strings on business because they trust business to self-regulate. That is one reason why I am not a Conservative because I know that is an impossible feat for any large corporation to do. Further, there is no question we, the people, were ripped off big time, just like you say, by the same unethical business people whose earlier unethical behavior brought America to the edge of the precipice. But, having said all of that, and believing it to the core, it does not bear on whether TARP worked or not unless it was significantly involved in TARP not working. In this case, it did not. It did not for all of the reasons I stated at the begining of this section. No doubt a lot of people acted badly and I believe some of them ought to go to jail. But the fact of the matter is that no company that received funding went out of business and no company that has received funding is apparently not going to pay the people back every cent it was given. You can't do better than that, in my opinion. THIS part has to do with OD's request for my thoughts on Outlays of the Obama Stimulus vs Payback. For that, we need some theory, sorry. What President Obama and his economic advisors were counting on was an economic theory called "economic multiplier". The idea behind this "multiplier effect" is if the government "stimulates" the economy by spending, say $1,000,000, then that spending will generate an additional 'x' amount of spending by the community. There are lots of theoretical formulas to figure out what this "multiplier" might be (for you wonks out there, go to this Wikipedia link). What I did was create a very simplistic simulation model with a lot of simplifying assumptions to see what answer I got. Now how did I model this and how is this 'x' amount of additional spending generated? Well. let's take a look. My first assumption was that a million dollars from the stimulus program was given to ABC Construction Company to build a road. When ABC or the sub-contractors buy material from a vendor, those vendors once again have those same choices to spend the money, still the original investment money. This process continues with the original investment money getting passed down from hand to hand to pay ultimately for either labor or taxes. This includes direct things like asphalt for the road or health benefits for the employee; but, no matter what path you choose to follow that particular dollar down, it ends up in persons pocket or some government entities treasury. That is Part 1 and is part of the model I built, not to that detail of course; remember those simplifying assumptions? PART 2 follows the same course as the original investment and is the source of the "multiplier effect". You see, a good chunk of that initial $1,000,000 dollars is burning a hole in a lot of people's pockets who have been doing without for a long time. What are they going to do with it? Spend it of course and voila, the multiplier effect. Why, because effectively, the money these people are spending is a NEW investment. They would not have had this money BUT FOR the Obama Stimulus; in fact many of them wouldn't even have a job if it weren't for the Stimulus, at least in my construction example which was decimated by the Republican debacle. I modeled this feature as well by assuming what money was left over after taxes was all spent on consumption; not necessarily a great assumption, but it made my math easier. I also assumed a bump in employment, about $160,000 worth, in general from the infusion of the million dollars. I based this on some Air Force base Economic Resource Impact Resource reports I was involved with during my base closure days. From that you can go back up to my steps and follow the process. I kept repeating this process until the amount of improvement became too small to matter much; about 31 iterations. In my model, my $1,000,000 investment generated $2,920,572.32 in additional spending. I also didn't factor in the savings in unemployment payments for those brought off the unemployment rolls, probably about 17 total employees worth. So now your asking, how accurate are my numbers? So I did some checking, Wikipedia mainly. The key, of course, is what are some comparative multiplier numbers. First, let me say, I know my 2.9 is high, too many simplifying assumptions. For example, assuming 100% of labor income is spent on consumption is clearly not correct, obviously it will be lower than that, which, in turn, would lower the value of the multiplier. But, all-in-all, as rough as my assumptions were I am rather pleased, it at least verified my approach which, for an analyst, is always a good thing. Plagiarizing from Wikipedia, the link is above, is the following testimony: "In congressional testimony given in July 2008, Mark Zandi, chief economist for Moody's Economy.com, provided estimates of the one year multiplier effect for several fiscal policy options. The multipliers showed that increased government spending would have more of a multiplier effect than tax cuts. The most effective policy, a temporary increase in food stamps, had an estimated multiplier of 1.73. Making the Bush tax cuts permanent, had the second lowest multiplier, 0.23. A payroll tax holiday had the largest multiplier for tax cuts, 1.29. Refundable lump-sum tax rebates, the policy used in the Economic Stimulus Act of 2008, [Bush] had the second largest multiplier for a tax cut, 1.26." So, I am at least in the ballpark, a big one no doubt, but in one nevertheless. The Obama stimulus would be like the lump-sum tax rebate on a lot of steroids because of its size and the target audience, out of work people. You will notice that the stimulus that had the largest effect was an increase in food stamps. I believe this is because it was targeted at the group who would be most likely to convert the stimulus into consumption. Both the Obama stimulus and the tax rebate would convert almost as well. The least effective stimulus, at .23, that translates into increased consumption are broad-based tax cuts, sorry Conservatives. The primary reason, I think, is that only those at the lower end of the economic scale, those earning less than $75,000/yr, will spend most of what the receive on the kind of consumption that truly helps the economy. The upper-end of the economic scale, the ones who received the most benefit from the Bush tax cut, don't spend on things that help the American economy, they don't spend on basic consumption. Those kinds of expenditures are already accounted for with what they already make. This is gratuitous income, income to spend on non-essentials such as diamonds, trips abroad, mink coats, but not enough additional income for true investment in businesses to grow America. Further, those who oppose stimulus claim that stimulus' simply don't work, the multiplier effect is an urban myth. Well, unfortunately, they are sometimes right. It is unfortunate because the fact that they are sometimes right is used as a wedge to assert, as they often do, that it is true all the time. But, to be full disclosure the times a stimulus won't work is when it competes private industry investments going on at the same time or it increases interest rates or price levels. In the case of the Obama Stimulus, which the naysayers will not tell you for obvious reasons, none of these situations apply. Private industry clearly was, and is, staying on the sidelines, interest rates are still at an all-time low, and price levels are steady; so, the naysayers, the Conservatives, are dead wrong. The environment is prime for the stimulus to work, but one of the strongest deterrents to any recovery is negative public perception and I firmly believe that one reason for the slowness of the recovery, for the less than stellar results from the Stimulus Act, is the drumbeat of negative misinformation and liesthe Mitchells, Boehners, Gingrichs, Ryans, Bachmanns, Tea Partyers, and their Right-wing Authoritarian followers are delivering on a daily basis to America about how terrible President Obama and the stimulus is. If anything has hurt America more since the economic meltdown and the needless elimination of eight million plus jobs it is this two-year old misguided propaganda campaign to bring down the Obama administration rather help America recover! Whew. Now, did Obama's stimulus work? The stimulus will not compete with private investment. This was one of the Conservative's most vociferous and heartfelt counter-arguments. Unfortunately for the Conservatives, private industry was not their friend in this case for the big banks purposefully kept the credit frozen and corporations kept sitting on the sidelines; consequently, there was no one with whom to compete. Most importantly, there needs to be pent-up demand to spend the stimulus, which there is in spades! When you think about it, it is plain common sense isn't it? It isn't rocket science, for sure. Again, this isn't brain surgery; when you tune out the high volume rhetoric and take the time to use the brains God gave you, the logic falls into place doesn't it? So, if all of the above does make sense to you, then the only questions remaining are: 1) did President Obama's Stimulus fulfill the four criteria above and 2) what results were achieved relative to where the economy was headed when the stimulus was put into place. OK, Opinion Duck, let's take a look. The American Recovery and Reinvestment Act of 2009 was based on the esoteric Keynesian idea that "government budget deficits should be used to cover the output gap, i.e., lower demand, created by the drop in consumer spending during a recession". In other words, Keynesian economic theory suggests that government stimuli should be used to fill in the hole in demand caused by the drop in consumer spending in the hopes of driving demand back up and thereby increasing employment, which, in turn, creates more demand. This, by the way, referring to my little intro to economics in my hub on recessions, is called Fiscal policy. Now, it must be said that current economic philosophy is really a mixture of Keynesian and Neo-Classical Economics which prefers using Monetary policy first. Monetary is where the Federal Reserve adjusts interest rates, to incentivize private businessto invest and grow us out of a recession. Further, the Conservative solution is not too much different, and always the same in all circumstances, but they will NEVER put it in these terms I have used; their solution is to use the same monetary policy but instead of using a "stimulus" they want to use another fiscal policy tool, tax cuts. However, tax cuts, as I have demonstrated elsewhere are simply stimuli by another name ... you know, the rose thing ...but much less effective, in fact actually counterproductive, in the economic conditions faced in 2009. In any case, the Federal Reserve had already cut interest rates to almost zero and private corporations were having none of it, they felt it it was in their best interest to sit on the side lines while the rest of America suffered, so, somebody had to do something and President Obama did. The Stimulus was $.8 trillion. If you assume a nominal 1.26 (the size of the Bush tax rebate), that means a total of $1.8 trillion impact on the economy. No question it is large enough. Business tax incentives to increase hiring Unemployment benefit extensions, aimed directly at putting money in the economy Increasing other social welfare programs that will have the same effect Major expenditures on education, health care, and construction of infrastructure and energy creating jobs and the purchase of materials Significant aid to States which again was a direct infusion of money into the economy Limitation on executive compensation for federally-aided institutions and banks. Not a stimulus but psychologically pleasing. The majority of the spending was to spread out over three years so as not to waste the money; $185 billion in 2009, $399 billion in 2010, $134 billion in 2011 and the remainder in the years to follow. The expenditures was a combinations of actual Outlays, dollars laid on the counter, and tax incentives, taxes not paid that otherwise would have been. President Obama took an amazing amount of stupid criticism over this prudent approach by people who haven't a clue as to what they were talking about and believed by many others that had no clue as to what they were hearing; it just sounded good. Did President Obama's program meet the requirements for an effective stimulus? Yes it did, it was large enough, it hit many sectors of the economy, it was given to people and businesses who could spend it quickly, and it was spent prudent. DID THE STIMULUS GET IT RIGHT? First, we need to set the stage. 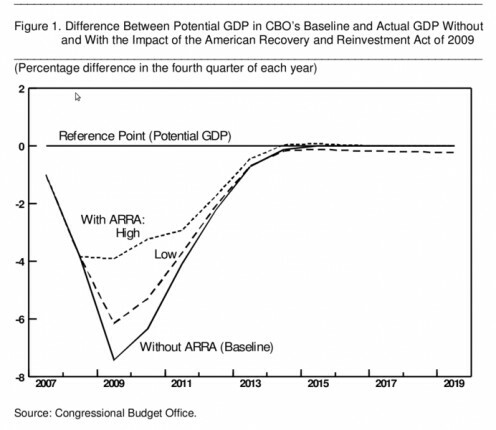 The Chart to the right is from a February 2009 impartial Congressional Budget Office (CBO) report on their estimate of the impact of the proposed Stimulus. I realize the chart is hard to see but the take-away is that the bottom line of the graph is where the CBO predicted the economy would go without a Stimulus. The next lowest line is what their analysis showed would be the worst the stimulus might accomplish and the top line is their estimate of the best the stimulus outcome To put some boring numbers to it, as measured by the 4th quarter of each year (after a lot of head scratching, I finally figured out that distance between each hash mark on the bottom axis represents the whole 4th quarter of that year). the economy fell by about 1.9% in 2007 and about 6% by 4th quarter 2008. By February 2009, the workforce was already losing workers at a rate of over 700,000 per month, the CBO predictionimplies that number would increase even further ... per month, mind you!!! Please, Conservatives and Tea Partyers, don't ever tell me that isn't a catastrophe of epic proportions!! The CBO also predicted, poorly as it turns out, that unemployment would hit 9% in 2009, drop to 8.7% by the end of 2010, and then decline to 7.5%. Keep in mind that in January 2009, when the CBO analyst were compiling this report, neither the economic numbers from 4thquarter 2008 nor the job loss numbers for January were available yet. They were not yet aware of the depth and breadth of the disaster that had been unleashed on America. The full scope wouldn't really be know for another one or two quarters yet. Note to Opinion Duck - this is the catastrophe that Bernanke and Paulson, in October 2008, had convinced President Bush he needed to act to avoid. Note to All Readers - the CBO is truly an independent analytical organization within the Congress of the United States. I state that unequivocally because I worked for a similar organization within the Office of the Secretary of Defense (OSD) as well as the Department of the Air Force. I personally know two or three analysts who moved from OSD to the CBO and they have the highest of integrity. All of us took our role as the honest broker extremely seriously from our most senior boss down to analysts, like myself. Our organization's culture, as is the CBO's, is imbued with the need to be independent and not to bend to the ever present political pressures that are all of around us. I can tell you personally it is very difficult to tell a two-star general that I won't do what he wants, even though I know my boss will back me up. Bottom line, when the CBO publishes something, I know it is the best they can do given the time and information constraints they are faced will. I also am confident it is as unbiased as they can possibly make it and is their honest appraisal at that moment in time. I am also aware, as all of you should be, not no politician ever seems to be, that has information changes, so will the estimate. This is what we need to measure President Obama's Stimulus plan against. Also keep in mind, he didn't tell us he would turn the economy around on a dime, as the Conservatives convinced America that is what should have happened, but over the course of three to five years, like all other recessions. Why America bought into the Conservative false propaganda, which were clearly lies to any clear headed observer, I have no idea, but they did. in 2009, limit the decline in GDP to negative 6.25% annual decline, instead of 7.4% baseline. Unemployment would top out at 8.5% by the end of 2009, 8.1% in 2010, 7.2% in 2011, and 6.3% in 2012. Again, pie in the sky given the 4th quarter 2008 and 1st quarter 2009 came in much worse than the original projections. Before presenting the best case scenario, let me put these GDP numbers in a bit of context. For the Stimulus estimates, these GDP rates are the CBO's estimates of the impact only from the Stimulus, not from other causes. What that means is the -6.25% GDP is that resulting only from the stimulus. It may be higher or lower due to other things going on in the economy. Now, for that number in particular, because of the timing, probably not, but, for the remainder there are most likely other beneficial activities happening that probably gave a boost to the economy such that the real GDP may be higher. Unemployment was expected to end 2009 at 7.7%!, 6.8, 6.5, and 6.0% in 2010, 2011, and 2012, respectively. Again, the true impact of damage caused by the collapse in 2008 was not yet reflected in the economic data the CBO had at its disposal in January 2009; just as those Obama economists who predicted 8% unemployment in early January, and got their boss in so much trouble when opponents twisted the truth, didn't either; that critical data wasn't available until at least February. OK, how does the President Obama's Stimulus stack up against the CBO estimates? As I have said earlier, pretty darn well! Let's look at the worst of the two measures, the one he and the Democrats having taken the most heat over and was the principal reason they lost control of the House of Representatives. Let me start out by saying, as I have said several times in several other hubs, the Republicans pulled off the biggest slight-of-hand on the American public since J. P. Barnum or Barny Metcalf! Their whole propaganda campaign, as successful as it was, about Obama's failure to reign in unemployment was built on a confusing maze of quarter-truths, mis-directions, and outright lies. If thouse who bought into it had used an ounce of common sense, they would have seen through the transparent film it was made of. So, please bear with me as I have another go at it. 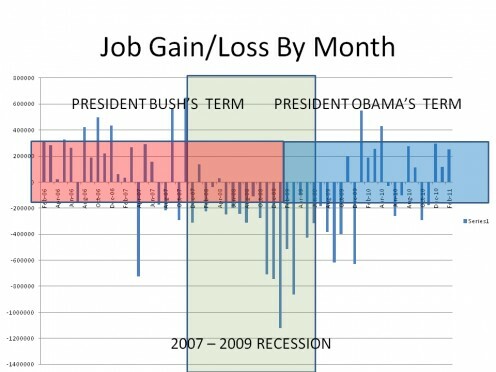 The chart below depicts monthly employment gain/loss since mid-2008 until the end of 2010. You probably have seen many variations before but hopefully the little extras I added to it will add a some color, ok, information. I have tried to use several metaphors in previous hubs to describe what President Obama faced when he took office, effectively February 2009. I have tried boulders, trains, and avalanches to get across the idea that what Obama was expected by you, the American public, you, who just voted his party out of power, to first stop, then reverse, was impossible in the time frame that you expected him to do it in! How sad is that? How un-American is that? This time, I am want to use a couple of graphs to try to illustrate what I mean. In the graph above1, the first thing you should notice is that job growth became unstable in April 2007 and finally stopped growing around July 2007 before begining the recession began in December 2007. Job losses remained steady at an average of [only] 200,000 per month from then until Oct 2008, when job losses started in earnest. Please note, because it was lost in all of the spear throwing at President Obama, that in the period, July 2007 - February 2009 before Obama had a chance to effect ANY change to the course President Bush had set, President Bush and the Conservative Fiscal and Monetary economic philosophy had cost America roughly 4,371,000 jobs! 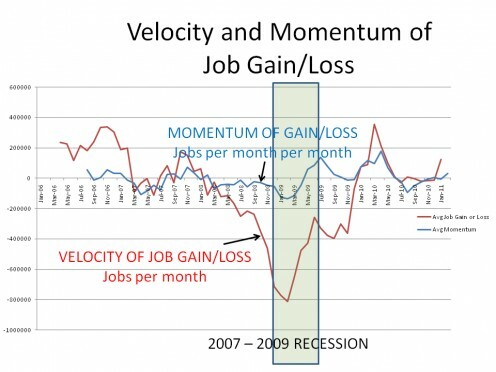 Further, the average velocity of job loss in February 2009 was 772,000 per month and the rate of job loss was increasing, the momentum, at average of 134,000 jobs per month. That is what the graph below tells and, as Paul Harvey once told us, is "the rest of the story." 1 The data is from the latest seasonally-adjusted Bureau of Labor Statistics database which may reflect updates to the numbers that were reported at the time. Those terms, velocity and momentum, may sound strange in this context but they may sound more familiar if I throw these at you, gravity, speed, and acceleration. Simply, let a ball go from the top of the Leaning Tower of Pisa and, because of gravity, it will fall toward the ground. It will initially fall at a certain speed but because of acceration due to gravity, it falls faster and faster unless stopped by an outside force, like the ground. Well, job losses work the same way. Once they get going in a recessioin, they feed on themselves and begin to accelerate, they gain momentum and will continue to lose jobs at a faster and faster rate until some other force intervenes to stop the loss. BUT, unless it is an unmovable force, like the earth is to the ball, momentum cannot, will not be stopped anytime soon if the momemtum is large and sustained. By February 2009, only fools and political opponents would say this train, boulder, avalanche was going to be stopped anytime in the near future. Thanks for nicely put comments, Larry. I do think Obama has made moves to help small and medium size businesses, however. I haven't done much research on it yet to get down to specifics, but I do know from personal experience that the stimulus move to forgo my companies portion of the social security tax was critical to my hiring at least two employees in 2009; I have 30 employees counting 3 owners so that wasn't a small relative number. The deal he just made with the Conservatives on waiving the Social Security tax for the next two years is going to help once more and will defintly factor into my hiring and pay increase decisions. Finally, his increase in the limit on new equipment I can write off is certainly going to help and allowed me to buy a little more than I was going to ... we upgraded our IT and Comm systems last year. It is certainly helpful that you like bananas and I congratulate you on your success. Your point is well stated My Esoteric and there is no doubt that we had to do something to help the economy. But extending the tax cuts for the wealthiest in this country did not add any noticeable help for the unemployed in this stage of the recovery and will not. of their income now than they did before the tax cut. They already have the means to purchase all that they want or need, so there will be no net gain to the economy with these additional cuts. As a Gorilla living at the top of a banana tree I can relate to those at the top of the money tree.I have all the bananas that I can eat and am completely satisfied. But I still wonder why the government can't do more to stimulate the economy with tax cuts to businesses who expand and put people to work rather than give blanket tax cuts to people who will not add to one job to the economy. I have the same concern for men as those of my brothers who live in the zoo as they are dependent on others and what others do for their bananas. Where as I live in the lap of luxury here at the top of a banana tree. I suppose this is something, that being a gorilla I will never be able to change, and that there will always be those who are not as fortunate as a gorilla living in a banana tree. Maybe we could plant more banana trees. National home prices fell 4.1% during the last three months of 2010, compared with 12 months earlier, according to the latest report from the S&P/Case-Shiller home price index, a closely watched indicator of market trends. They were down 1.9% compared with three months earlier. "Despite improvements in the overall economy, housing continues to drift lower and weaker," said David Blitzer, spokesman for S&P. Shiller cited a few reasons for his bearish stance. The government is expected to reduce the presence of Fannie Mae and Freddie Mac in the housing market. These agencies currently provide loan guarantees for about two-thirds of mortgages. If they fade away, private mortgage money will have to fill the gap and the cost of mortgage borrowing will surely rise. That will hurt home prices. Hubpages has really pissed me off, I spent an hour on the previous reply and it cut off most of my reply. I appreciate your attempts here but we still can't find accord in the core of the issue of TARP and the Stimulsus Package. The results are in the economy and there is no success there. "Economists never agree ..." - Often true, but not this time, I will find some support for this. Quack>> The key here is that there is no meaningful consensus among economists.> I disgree because buying into a bad business doesn't change the business, and the money that they paid back was not really distributed to the public where it was really needed. These banks held the money and didn't really loan it to the people. If the bulk of the $700 Billion dollars is back in the US Treasury what is it being used for, especially in light of the major borrowing we have done with China? There was a significant loss in tax revenues from these companies, and they still got bonuses. If my option was taken there would be no bonuses and a lot of jobs cut as well as salaries. Remember these were failed businesses and to keep the people that caused the failure is not fixing the problem. At best it is just postponing more failure and greed.> We sort of agree on this, but the democrats are too blame as well as the republicans. Control of congress and the presidency was had by each party at one time. During their time of control neither party made any changes to Corporate greed. The Internal Revenue Code is setup strictly for the rich and corporations and that could have been changed by any party in control, yet, it was only made worse over the years. Those same Economists made that mistake, so how can we believe they knew what would happen if they didn't create TARP? 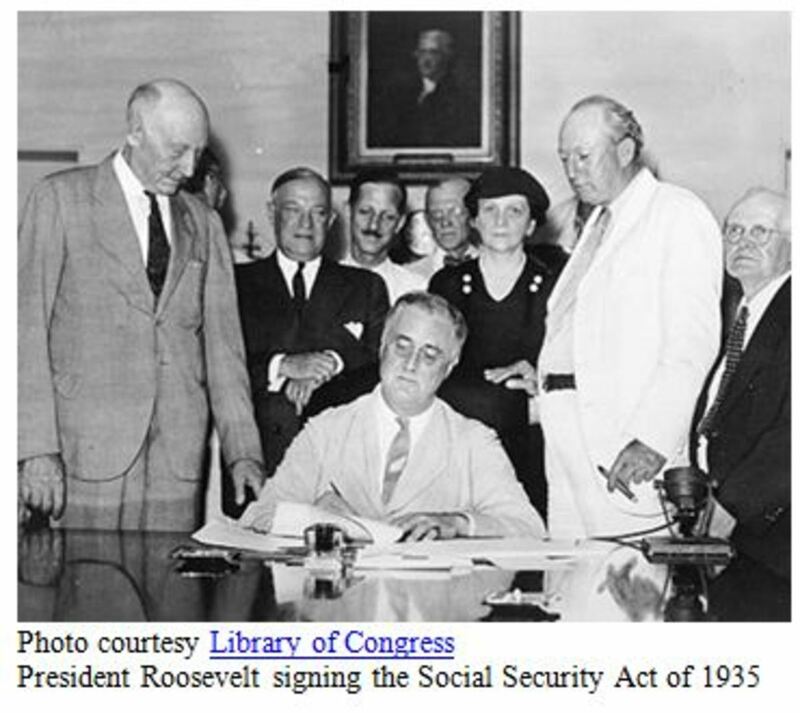 This was a similar action that was also not successful in the Great Depression.> Again it was not one term of Congress of Presidency that made this progression thousands of IRC benefits to the rich and corporations. So it doesn't solve the issue by pointing to the republicans. Congress is broken and it is a result of the party system. The party system is not beneficial for the People. Neither party supports the ever shrinking middle class, but both parties prey on them for their cummulative wealth. "TARP was a Hail Mary ..." - It absolutely was, but from my view, there wasn't a choice.
" ... they "GAVE AWAY" ..." - The "no strings" part is more or less true although Obama imposed a few regarding executive bonuses later because the "gave away" isn't true. The principal "string" missing was accountability provisions. In fact, America "bought" these companies. America bought their stock or purchased their bonds or, in some cases, actually bought some of the "toxic assets". Because we bought into the companies, in some cases owning a majority, America had a lot of leverage and Obama used it, to some extent. The "gave away" is wrong in historical terms as well because about 85% has alreadt been paid back and it is currently projected to 94% and it is now conceivable that the taxpayer will ACTUALLY MAKE MONEY from TARP! "The government has no control ..." - damn near, Obama tried to use the what little he did have and the bully pulpit but with only marginal success. What amazed me is that as mad as America got at this symbol of corporate greed and impunity is that Conservatives were still able to gut the reform legislation of most of the meaningful regulations needed to bring corporations back into line. Apparently, many American's weren't really that upset with those greedy corporate leaders because the Conservatives had a lot of vocal backing from their supporters around the country. "As for the options ..." - you will notice that I didn't bother mentioning the candidates nor the election, they and it don't matter. Only the sitting President and the sitting Congress (yes, I know most of them were trying to get elected in Oct 2008) count. The process wasn't easy given that TARP failed in the House the first time. "In the Summer of 2008 ..." - My opinion on this at the moment is that they didn't know until they let Lehman Brothers fail and say what happened. Until then, I think they thought the market and companies were strong enough to pull through. I will more certain when I finish reading the FCIC report. "My options once again ..." - This will require a hub but my lead of in that hub will be what happened with the government let Lehman Brothers fail. It was the repurcussions from that decision that led to TARP. "At the same time ..." - This is my central hypothesis! See we agree on something important. It was the removal of regulations that prevented corporations from doing what comes naturally to the unethical, the immoral, the non-virtuous, the GREEDY over the last 30 years with the lynch-pin being pulled in 1999 that was responsible for what happened. "The Federal Reserve ..." - You are preaching to the choir here except I think that the banks were extrememly competentent at bilking Americans when given the opportunity. I think that we are at an impasse, as I don't see your points. How can you compare the Sun coming up with Economics? Economics is not a real science like Astronomy or Astro Physics, it is more like bahavioral science at best. Even in Physics there are many things that cannot be predicted. Economists never agree on anything, and if you find a group of economists in agreement, there is another group of economists that disagree with the first group. As I have mentioned several times, TARP was a Hail Mary reaction in the heat of a presidential election. Congress wanted the people to think that they had a handled on solving the meltdown. They didn't and they "GAVE AWAY" the money with no strings to AIG and the other banks that you mentioned. That was irresponsible and as it turned out, it was not a good move. The banks didn't turn around and help the people that had the bad loans. They still resist doing it even today more than two years later. The government has no control over them and helplessly stood by while these bank executives padded themselves down with multimillion dollar bonuses. The executives that brought down the company now get a bonus from the government with taxpayer money. Does that really make sense? As for the options that you mentioned, I have mentioned them several times. First, remember that these economists that you say agreed on TARP as the only viable option didn't predict the economic meltdown before it happened. Congress and the presidential candidates were too busy trying to win votes for two years instead of trying to take care of the country. So in the summeer of 2008, they either knew that the economy was going to collapse, or they didn't have a clue. In the first case, they lied and in the second case they were incompetent. My options once again were to have let the companies fail, that is why we have Bankruptcy Laws. Then we do what we always do in Bankruptcy, clear the slate, let some other group come in an take over that has a better plan, or if that is not possible have the government back the debt and restructure the banks. The difference with my options is control by the government. Maybe the same amount of money might be spent but you don't let the people that failed the company continue to run the company. At the same time with the corporate structure no longer a barrier to change, the Congress could have passed legislation to shore up the areas that weakened the economy. These problems all started when the regulations allowed to much freedom in what should have been a conservative and prudent business. Rules that were protecting business decisions were gone or weakened and the oportunists took advantage of it by creating schemes and scams for themselves. The Federal Reserve also played a big part in the economic meltdown. They purposely held the loan rates down real low, and this allowed too many of the bad loans to be approved. The loans that were provided by the banks were bad. They included negative amortization, variable loans that had the interest gone up would have tanked many loans in less than a year. The people that had loans had no room in their budget to take a hit when interest would increase. But instead of these loans going bust in the early stages, there was a significant increase in the number of these loans, and this allowed a housing boom. The boom artificially escalated the homes way beyond their actual value, and worse yet it caused a spiral in the aritificial value that made even worse loans. This in turn increased the property values and also increased the property taxes. The local government took advantage of the windfall and started spending money that didn't really exist from these property tax escalations. The bottom line is that the banks got bailed out for their incompetence and greed, but the people were not in turn bailed out by the same banks that screwed them with ridiculous loans. The Federal Reserve didn't make the appropriate moves based on what was really going on in the economy. The should have raised the interest rates to cool down the artificial boom. The fact that they didn't do that means that they knew it would hurt the banks that were in the middle of their ponzi games and other scams. I cannot agree with the TARP preventing a depression opinion. BTW, the country wasn't told that they were in a Recession for a year and not until after the presidential election. So Congress and President Bush and all the Presidential Candidates knew or should have known that there was a Recession. In which case they would have had more than a few months to come up with a better solution than TARP. The purpose of the Stimulus give away was to put people to work and stimulate the economy. Neither of these actually happened even after two years. The prognosis for the economy and employment is also still very bleak. But now unlike in 2008 the country has about 25 Trillion dollars in debt and about 10 trillion of it held by China. I would really like to find a common point with you but I just can't find it. Opinion Duck, I need to ask a question regarding the second part of your first quack; besides what was done and what the Conservatives wanted which was to do nothing, what were other potential options if you first assume that all of the economists were correct that a depression was around the corner, something you are saying these experts can't prove. Thanks HS, I couldn't agree with you more! OD, As I said, there is also no evidence that the sun will rise tomorrow either but I am pretty damn sure it will. You forget that the TARP was specically targetted at those corporations, primarily huge financial institutions and two car companies, that, if they failed, the economy would have collapsed; or so says all of the experts and economic nobel lauretes. Others did receive money yes, but those were the main targets. Among the largest were AIG, Citibank, JCMorganChase (a merger), Wells Fargo, Bank of America, Goldman Sachs, Morgan Stanley, US Bankcorp, Regions Finacial, Suntrust, and Capital One. If just a couple of the first few I named were allowed to go under like Lehman Brothers was, millions of Americans would be standing in food lines now. Of course lots of private corporations went bankrupt, that is what happens when you have a Great Recession, what else would you expect? What TARP did was prevent a Great Depression. And of course, eight million Americans lost their jobs and many their homes, etc as you mention; that is the logical outcome of a failed economic philosophy that has been 30 years in the making with the point of no return passed by in 1999. That had nothing to do with TARP or the Stimulus, it predated those to events. TARP and the Stimulus stopped it from being twelve or fourteen million jobs lost, however. Haven't got to the Stimulus and my modeling is key, you will see.
" if they did collapse, would cause the collapse of the American economy and having us into the worse depression in our history. Clearly none of the events that you posed as the reason for TARP came true. Private Corporations went bankrupt, of shutdown, or merged or were acquired, and employees lost their jobs, lost their homes, had pay cuts and cuts in benefits or lost their benefits entirely. These are not the results of a successful plan. Did The Stimulus Work -- You say. IN MY OPINION yes. Under Construction, need to do some modeling to answer the cash flow question Opinion Duck asked. 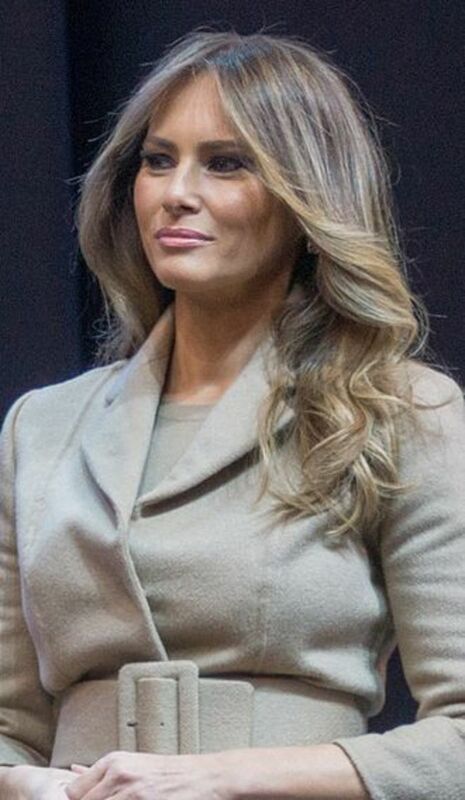 There is really no need to go to modeling for an answer, just look at the economy and what has happened in the private sector and the twenty five Trillion dollar debt. The economy is very weak two years after the economic meltdown. This is proof enough that the over 1.5 Trillions dumped by the government to solve the problem didn't work. The economy of most states border on Bankruptcy, especially that of the eight largest economy in the world, California. The unemployment is around ten percent on average with up to 35 percent in some areas. There is no real proof that letting the financial industry collapse would have made this economy any worse. The financial industry executives gave themselves seven figure bonuses with the TARP money. The government didn't give out the money with any strings attached to it and they allowed the financial industry to prosper from their own failure. The better choice would have been to let the financial companies fail and go into bankruptcy and then bail them out as failed companies. Much like we do with FDIC, the manner not the function. The people that had the bad loans and were supposed to have the banks that were saved helped them renegotiate their loans so that they wouldn't be foreclosed didn't really happen. The banks hoarded the money and refused to loan it out. You two are going to rely on the judgment of President Bush and his advisors even though they were caught with their pants around their ankles when the economy melted down. The stimulus was all Obama and the democratic congress which was another throwing money at the economy as a Hail Mary Play. Even in this very weak economy of 2011 the oil prices are back over $100 a barrel after being below $50 a barrel when the meltdown settled. There is no plan to deal with the continued rise of oil especially now that Egypt is in turmoil. 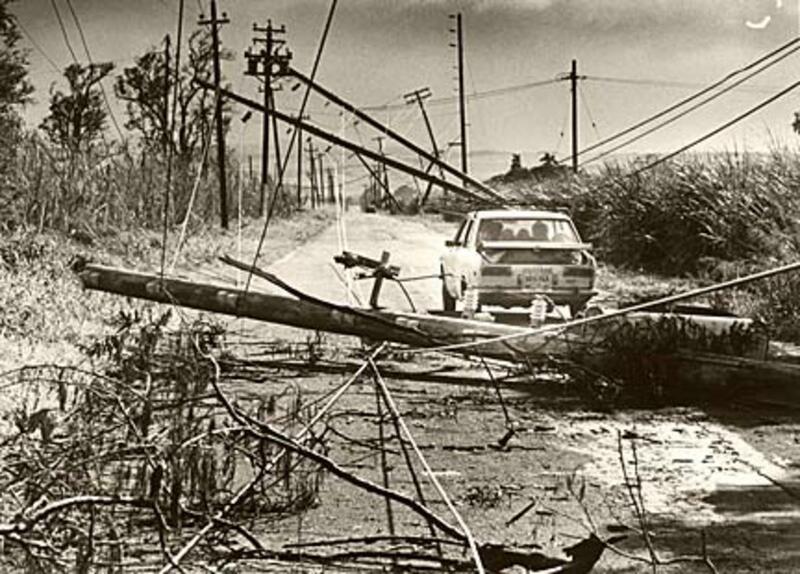 Congress and the presidents from the 1970's until now have done little to nothing to protect the country from both economic and military disaster from our reliance on foreign oil. They had over thirty years to deal with this major problem and they did nothing and today they continue to do nothing. I really don't understand how anyone can look at the US economy today and say that TARP and the Stimulus and over 1.5 Trillion dollars helped the people or the economy. Talk to the unemployed and talk to those that have lost their homes and their livelihood. The country has a 25 Trillion dollar debt from the drunken sailors that we call Congress and what do we have to show for it. All I see is a broken economy. What do you see? I really didn't see answers to my specific points in this hub, I will have to reread it more carefully. Great response to Opinion Duck. TARP was absolutely essential to keeping this country out of a depression. The economy was like the Titanic turning over. One financial institution after another was going over. Some were basically sound but simply falling like dominoes. Morgan Stanley would have been next to go and it was essentially sound. These institutions needed the confidence of a fuel injection backed by the government. Without this, everything in the economy would have fell. The stress tests that the Obama Administration administered in early 2009 were also critical to the economy. Most had to add capital reserves to guard against market risks strengthening them in the long run. The stimulus is much more difficult to judge and I wish more of it had gone into infrastructure and new technologies such as renewable green energies.